Ambarella A9SE chipset, includes a 800 MHz dual-core.Cortex-A9 ARM CPU and a high-performance digital signal processing (DSP) subsystem with a 32-Mpixel image sensor pipeline (ISP), and an advanced H.264 encoder capable of 4K resolution. SONY IMX377, 1/2.3", 12 megapixels CMOS image sensor with Exmor R ability. Only for Photo Mode and Timer Mode, which determines the length of time needed to open the shutter. Divided into two metering modes: spot and center. It's easy to preview and play back of videos and photos on the LCD. Connect via Micro USB to USB cable, preview and play back of videos and photos or copy files from the Micro SD card to your computer. Up to the depth of 40 meters with the waterproof case. YI 4K Action Camera records stereo sound in 48kHz, with dual microphones. It optimizes the sound collection and can provide good audio quality even at large outdoor sport events. With AAC Dolby encoder, it records every detail of the sound. Storage standard: MicroSDHC, MicroSDXC 16GB - 64GB Storage card. 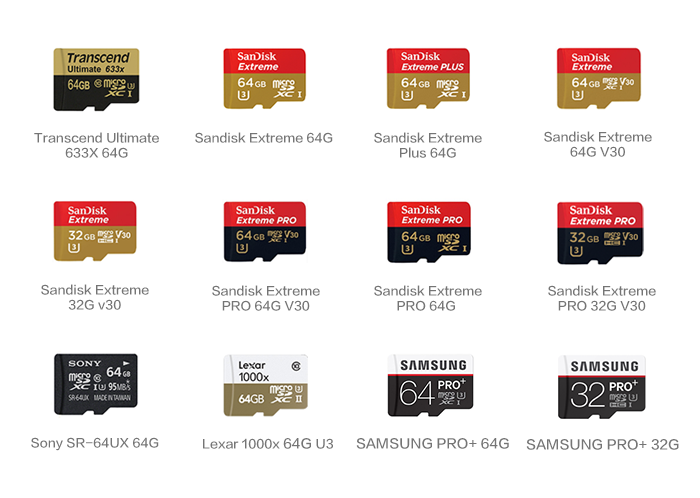 *We recommend a MicroSD card below to ensure high-quality 4K video.